Career: She taught school (1839—54) and clerked in the U.S. Patent Office before the outbreak of the Civil War. She then established a service of supplies for soldiers and nursed in army camps and on the battlefields. She was called the “Angel of the Battlefield.” In 1865 President Lincoln appointed her to search for missing prisoners; the records she compiled also served to identify thousands of the dead at Andersonville Prison. 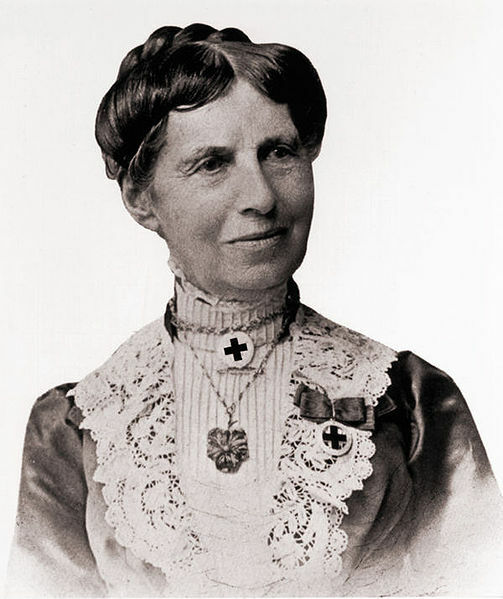 During the years following the war, Barton lectured about her war experiences, continued her work at the Office of Correspondence, and worked with the woman suffrage movement. 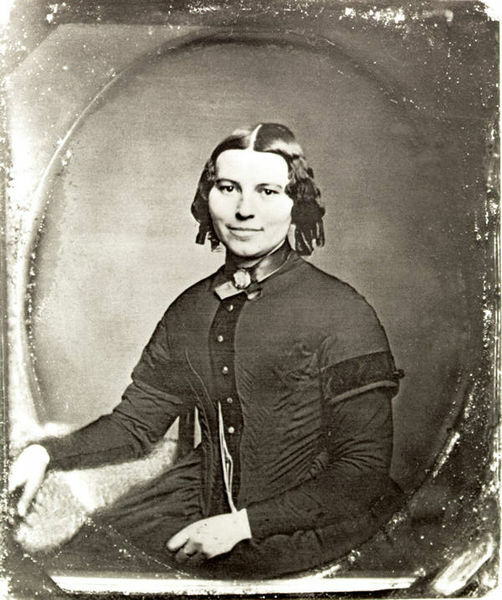 However, by 1869, Barton had worked herself into a physical breakdown. She followed her doctor’s orders and traveled to Europe to rest and regain her health. It was during this trip that Barton learned about the Treaty of Geneva, which provided relief for sick and wounded soldiers. Twelve nations had signed the treaty, but the United States had refused. Barton vowed to look into the matter. During this time, Barton also learned about the International Red Cross. She observed the organization in action while traveling with several volunteers to the front of the Franco-Prussian War. When Barton began the organizing work in the U.S. in 1873, no one thought the country would ever again face an experience like the Civil War. However, Barton was not one to lose hope in the face of the bureaucracy, and she finally succeeded during the administration of President Chester A. Arthur on the basis that the new American Red Cross organization could also be available to respond to other types of crisis. As Barton expanded the original concept of the Red Cross to include assisting in any great national disaster, this service brought the United States the “Good Samaritan of Nations” label in the International Red Cross. Barton became President of the American branch of the society, known officially as the American National Red Cross. Soon after the initial May 1881 meeting in Washington, on August 22, 1881, the first local chapter of the Red Cross was formed in village of Dansville, NY, where Barton kept a part-time residence between 1876 and 1886. Subsequent local chapters were established in Rochester and Syracuse, NY. Ultimately, John D. Rockefeller, along with four others and the federal government, gave money to create a national headquarters in Washington, DC, located one block from the White House. Barton led one of the group’s first major relief efforts, a response to the Great Fire of 1881 (Thumb Fire) in the Thumb region of Michigan, which occurred on September 4-6, 1881. Over 5,000 people were left homeless. The next major disaster dealt with was the Johnstown Flood which occurred on May 31, 1889. Over 2,209 people died and thousands more were injured in or near Johnstown, Pennsylvania in one of the worst disasters in United States history. 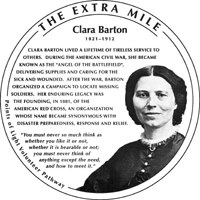 Clara Barton has been memorialized with a plaque in the The Extra Mile — Points of Light Volunteer Pathway located on the sidewalks of downtown Washington, D.C. The Extra Mile is a program of the Points of Light Institute, dedicated to inspire, mobilize and equip individuals to volunteer and serve. The Extra Mile was approved by Congress and the District of Columbia. It is funded entirely by private sources. References: American Red Cross. (2014). Retrieved [date accessed] from http://en.wikipedia.org/wiki/American_Red_Cross.